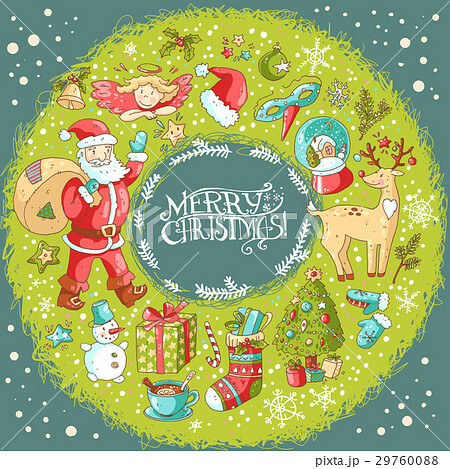 Vector Christmas and New Year greeting card with the text in the wreath, angel, santa, deer, decorated christmas tree and other winter signs. Ready design. Holiday postcard.